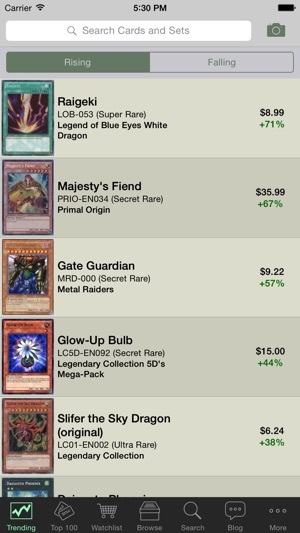 Access YugiohPrices.com, the number one Yu-Gi-Oh card price guide website, using our specially designed app! o Sell your cards on eBay directly from the app! o Accurate and realistic prices based on listings from multiple vendors and eBay listings. 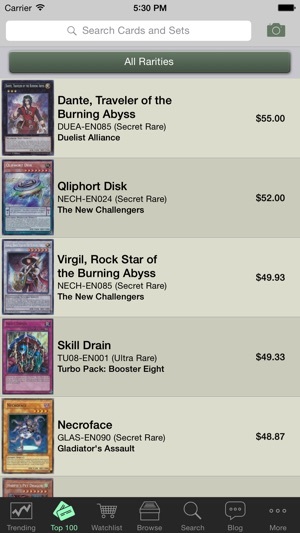 Don’t bother to filter through the junk, YugiohPrices.com does that for you! o See which cards are rising or falling in price over the last 24 to 36 hours. - Accurate and realistic card prices. 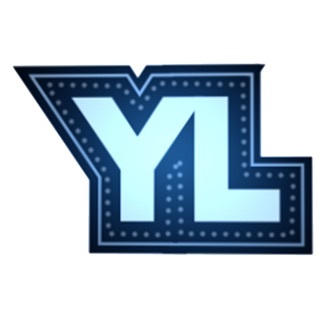 - The best and cheapest places to buy Yu-Gi-Oh cards. - Information on what cards are rising or falling in price. - Realistic booster pack values for every Yu-Gi-Oh set. 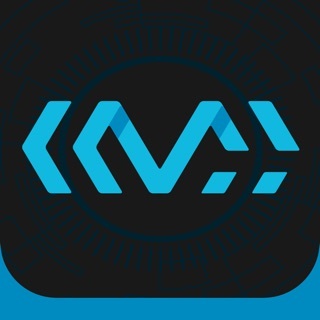 - Fix for users with iPhone 5/5s/SE that prevents card images from overlapping price data. 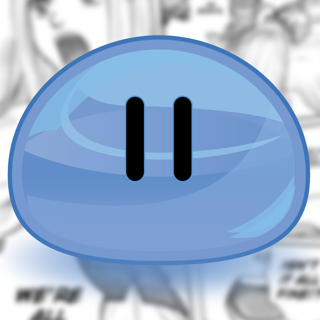 - We've fixed lots of little bugs here and there. 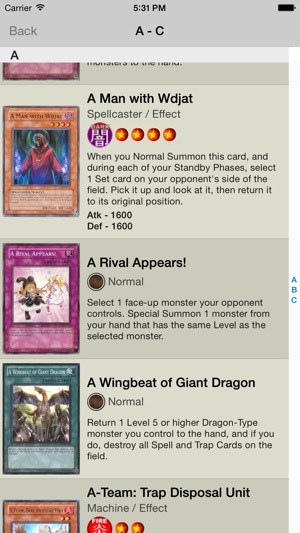 - We've adjusted things so that each variant of a card shows its own image for that set. - We've also added support for a handful of additional currencies. Specifically we've added support for Mexican Pesos, Brazilian Real, and Argentine Pesos. Have fun and keep trading! I’ve had this app for a few months now and just recently I decided to check some of the reviews just out of boredom. I found a couple of reviews saying the prices were inaccurate, which freaked me out a lot since I traded away a lot of cards using the prices listed. 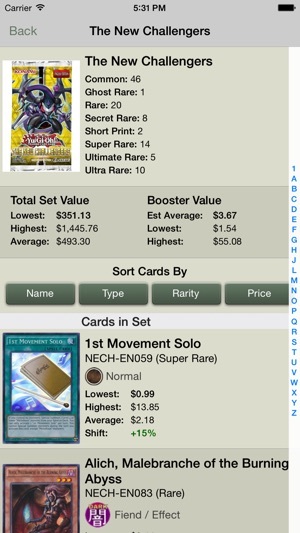 So I decided to do some research of my own, going to several websites like eBay and tcg player to see if most of the prices matched, and to my relief, they did. I just wanted to clarify that for anyone who may have been in the same boat as me or anyone who might be discouraged at first from downloading it. 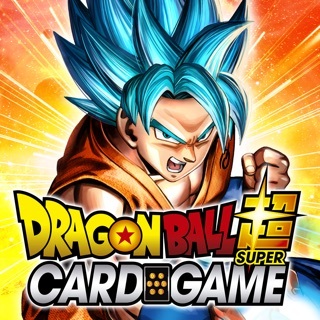 This app is accurate and super useful, with constant card database updates as well as useful search features, and I highly recommend for anyone who is looking for a huge card database with accurate prices that are easy to quickly check. 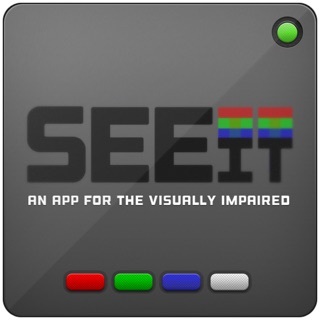 This app, to me at least provides a service that isn’t intended. 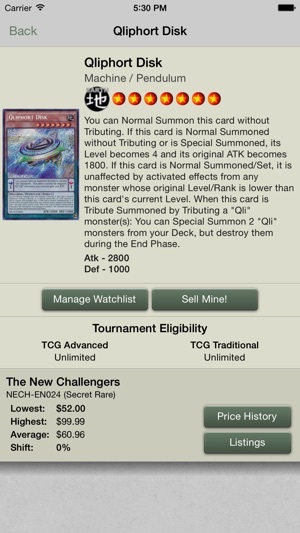 It’s great at showing a large image of the card, as well as blowing up the description of said card, which really helps because other sites just expects you to pinch and blow up the card. This, sadly is where the good things end. Prices are inaccurate and all over the place, which to an extent can be forgiven. What can’t be forgiven, is the fact that you can only look at two cards max before it freezes and fails. It’s almost impossible to do any research on a large amount of cards because it’ll crash almost instantly! I will still keep it installed and check only a few cards at a time, but in the long run I avoid it because of the frequent crashing. 1. Ripping people off. The prices shown are often far off from the actual price of the cards, in fact, you cannot use this as a quick price check at all. You have to go through the listings to see the accurate prices. How to rip people? Just show them this app's WAY OFF price on one of your cards, they'll think its 5x the price it actually is. 2. Trends. This app is actually very useful for finding out what is rising or falling. Still terribly inaccurate, but just check what is rising, then use a better app for pricing.